What Are the Symptoms of a Defective Alternator? How to Change an Alternator? How long does it take to replace an alternator? How to Save Money on Alternator Repair? In this guide, we are talking about alternator replacement cost, when it needs to be replaced and when it’s a better choice to repair the alternator. The alternator is responsible for two very important tasks that include supplying power to the electrical system as well as keeping the battery powered up. In fact, the moment your alternator malfunctions, the battery usually follows because it’s no longer getting the energy it needs to work. The result is that your car will literally stop working because it will no longer be able to start. The good news is that your car’s alternator will give you a heads-up before it fails. The amount you will have to pay for a new alternator really depends on the model and make of your car. 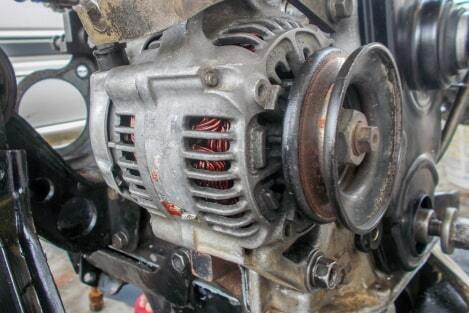 However, the average cost of a new alternator is between $180 and $650, while the actual repair work, including labor, typically amounts to $400 to $600. For best results, opt for a new alternator or get one that’s built by the manufacturer. Replacing the alternator is a complex task, and due to the expensive car alternator cost, it’s often recommended that you leave it to a professional mechanic. Here are a few example alternator prices for you to get an idea of how much does it cost to replace an alternator, and how much is a new alternator cost. 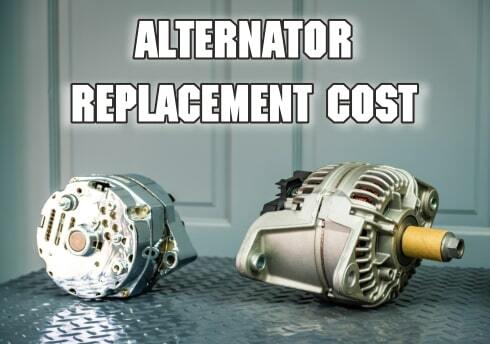 As you can see, the cost of alternator varies from one provider to another. When we say that the alternator is a very important part of your car, we’re not kidding. 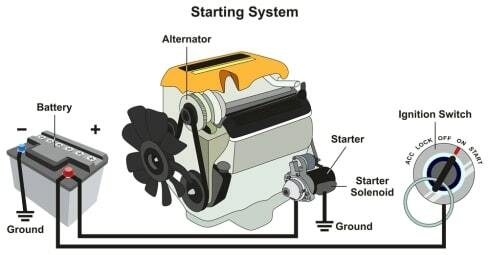 Without a properly functioning alternator, all the components that run on the electrical system will simply stop working, and this includes the heater, the braking system, the airbags, and the power steering etc. Some of the symptoms you’ll notice when your alternator starts to fail include a weird flickering in the gauges as well as dimming headlights. The alternator is one of the toughest parts of your car, and it can literally go for up to 12 years without requiring replacement or even regular maintenance. 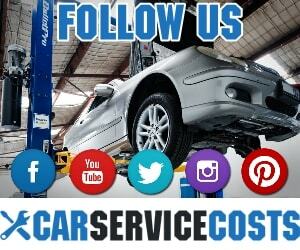 Even when it does eventually break down, your car will continue to run for some time without any obvious problems. However, once the power from the remaining charge runs out, you’ll start to notice some disconcerting symptoms such as difficulties with the starter as well as the stereo and lights. If your alternator is not working, you can forget about even starting your car, let alone driving it! 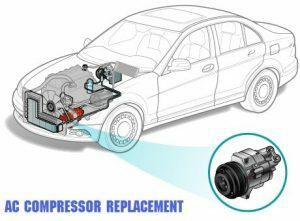 However, when it’s working at full capacity the alternator is responsible for powering up your car’s battery while ensuring proper function of your car’s electrical system. A faulty alternator will compromise your ability to see in front of you when driving at night due to the effect it has on the lights, and you’ll also experience issues with the car’s indicators, satellite navigator, stereo and a few other things that are related to the electrical system. It’s inevitable for your car’s alternator to wear out over time, and one of the first signs of a defective alternator is the flashing of the “GEN” or “ATL” light on your car’s dashboard. As mentioned, the components of your car that run on electricity suffer when the alternator gets defective because they either get too much or too little power delivered to them. As a result, you’ll see signs like the headlights becoming dimmer or too bright, and this often occurs because they’re no longer properly connected to the alternator. 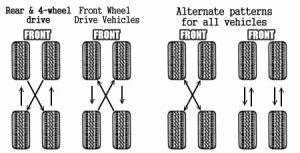 You might also have difficulty in operating your car’s seats, windows and dashboard lights. 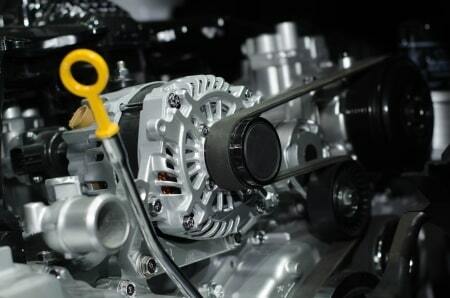 The alternator is connected to the crankshaft with a serpentine belt, which is also known as an accessory belt. As soon as the belt loses its tension, you’ll most likely notice a whining or growling noise, and the same thing happens when bushing and bearings get worn. And once the bearings go, your car will start to make an insufferable howling and squealing noise. A battery that keeps discharging at an unusual rate is usually a sign of a broken alternator and is typically caused by problems with the voltage draining. In the worst case scenario, the alternator will completely fail at recharging the battery. That said, there are certain instances of battery damage that aren’t caused by the alternator, which is why it’s important to examine the car to determine which component is responsible for the problem before attempting to fix it. A faulty alternator may also lead to problems with your engine, which will manifest itself in symptoms like misfiring, stalling, poor acceleration, and rough idling. You might also find it quite challenging to start, a problem which often gets worse in cold weather. 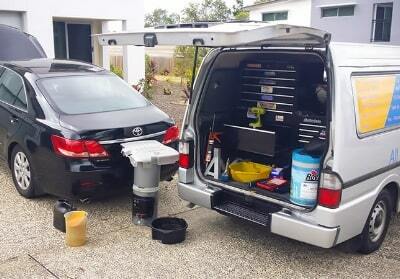 First, the mechanic will detach the battery in order to avoid grounding a live wire, an occurrence that can cause serious damage to the car, as well as the person handling the repair. Next, the wires at the back of the alternator will be taken out, followed by the drive belt, which is quite a challenging process. Oftentimes, the mechanic needs to use a screw-type tensioner for this part of the job. Now, only the bolt fastening the alternator to the brackets remains to be removed before taking out the damaged alternator. Installing the new alternator only requires that you repeat the previous steps but in reverse order this time. Well, that depends on your particular car model and how much damage was done to the old alternator. S terminal – This terminal is responsible for identifying the current battery voltage. IG terminal – This is the one that puts the voltage regulator on. L terminal – This one is responsible for closing the circuit which goes to the charging system warning lamp. B terminal – This one’s the output terminal of the alternator, and it’s attached to the car’s battery. F terminal – This one is the regulator’s full-field bypass and is mainly used for testing purposes. Just how much is an alternator replacement, you ask? Well, the cost involved in a complete alternator replacement can be quite high, especially if you drive certain car models that require expensive car parts. Often, the best way to save on alternator repair costs is to purchase aftermarket components instead of getting an OEM part from a formal dealership. Independent mechanics also charge less for labor than dealerships, and your local garage might be able to offer you a reconditioned or rebuilt alternator, which will be significantly cheaper than purchasing a brand new alternator. While rebuilding the alternator will take longer than replacing, it’s the cheaper route. In fact, you can even buy a rebuild kit online for just $50 or less and do the job yourself, if you are qualified for the task. 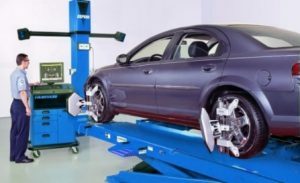 Otherwise, your next best bet would be to compare quotes from different garages and mechanics in your local area, whose details you can find through an online search engine like Google. Simply input relevant keywords like “how much to change alternator”, “alternator replacement cost”, “alternator replacement near me”, “new alternator price” or “how much to replace alternator”? It’s not always possible to find an alternator that coincides with your car’s specific make, model and year. That’s why each component comes with an Original Equipment Manufacturer (OEM) number, which makes it easier to find the component without having much detail about your car. The OEM part number is easy to spot as written on the actual component itself. However, if you can’t find it for whatever reason, then you can always call your dealership and give them your VIN so that they can provide you with the OEM part number.